1.700 years – the amount of time it takes for St. George to befriend the dragon. Also the age of the wood used on Woodster Dragon. 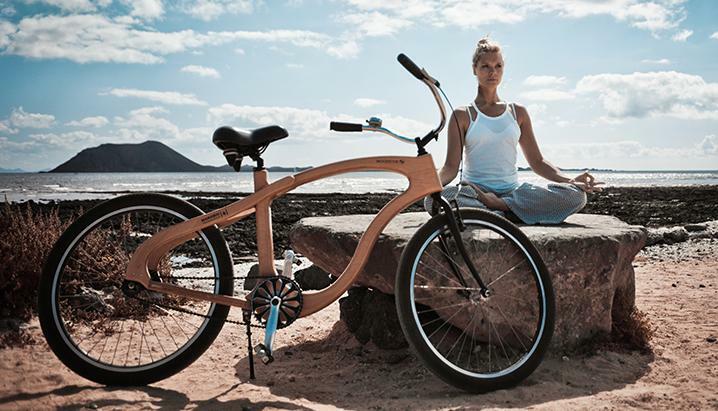 Meet a very special Woodster bike. The furious Woodster Dragon, born in A.D. 303, is covered in bog oak, more than 1700 years old. It reaches back into the time when St. George fought the dragon, as the story tells! The mighty oak has been preserved by the old aging marsh it fell into. It never decomposed. Even more, the wooden structure has been petrified to form a hard fossil material. So, are you up for the challenge of taming a stony wooden Dragon? It provides comfort and style of riding around. Experience our unique design approach, the funjoyability of cruising your everyday paths, or taking a ride on those special occasions. Every ride is a statement of its own, just as every bicycle we make is a unique feature of nature’s resources, human skill and craftsmanship. Woodster Cruiser. Look good, ride good, be good. 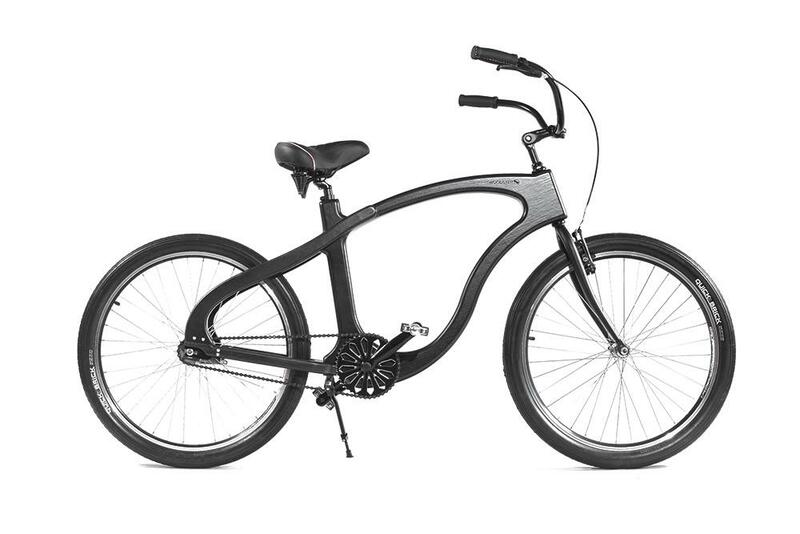 A bicycle that rides as smoothly as it looks! We have taken a unique design approach to providing a funjoyable cruiser ride experience. The design is completely nature friendly and utterly aesthetically pleasing. A tremendous style statement that will make you smile just about every time you ride it, or just look at it. Or even think of it! For our funjoyable design we have used the most natural resource there is – wood. It is essential to taming the vibration of your ride, while providing the stability and cruisability for your bike. Woodster Cruiser is sharp as a pencil and as much fun as a yacht in the summer! 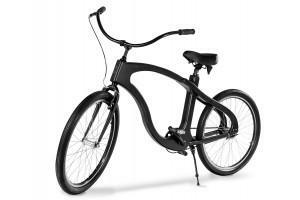 A bicycle that rides as smoothly as it looks! We have taken a unique design approach to providing a funjoyable cruiser ride experience. The design is completely nature friendly and utterly aesthetically pleasing. A tremendous style statement that will make you smile just about every time you ride it, or just look at it. Or even think of it! Enjoy the breeze as you ride to your favourite coffee shop with friends, jump to your surf spot, hop on a relaxing trip through the countryside or take a daily trip to the office. Woodster Cruiser will always make your trip comfortable and special. Wood is not just a great, warm and cosy looking natural material. It gives us, the makers, plenty of room for design. Structurally it is a very strong element – it can even support buildings more than 30 stories tall. It will boldly withstand your gravitational pull towards the planet. We use the latest 3D computer technology for designing and carving the hollow wooden frame with a CNC machine. We source the material responsibly near our workshop, hence there is less transport, and we also spare the energy when we process it. 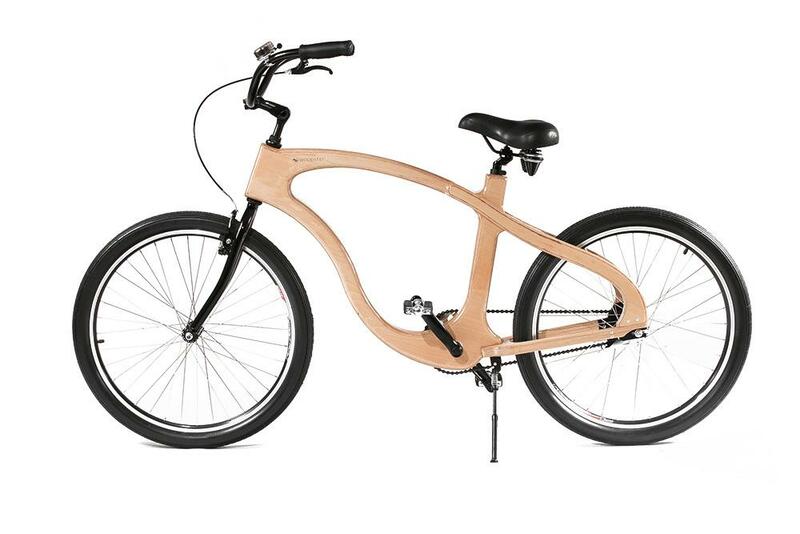 The carbon footprint of a Woodster Cruiser is significantly lower than that of any metal bicycle. Wood is a renewable material, but if you take proper care, your bicycle can last hundreds of years, literally. Every ride matters to you. It is either one of pleasure, business or a fusion of both. In life you follow a path and it is your bicycle that enables you to have fun on the road or when you stop. 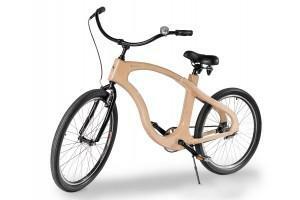 That is why we want to make Woodster Cruiser your personal bike. Look forward to personalisation options, not only in matters of equipment (handles, handlebar, seat, pedals, shift hubs), but also – choose your wood! A wide selection of woods includes beech, walnut, whitewashed, bog oak or a custom wood of your choice. And for the truly adventurous ones who dream big – we can dress your bike in wood sheets of your choice, inscribe your name or inspirational thought into or onto the frame. 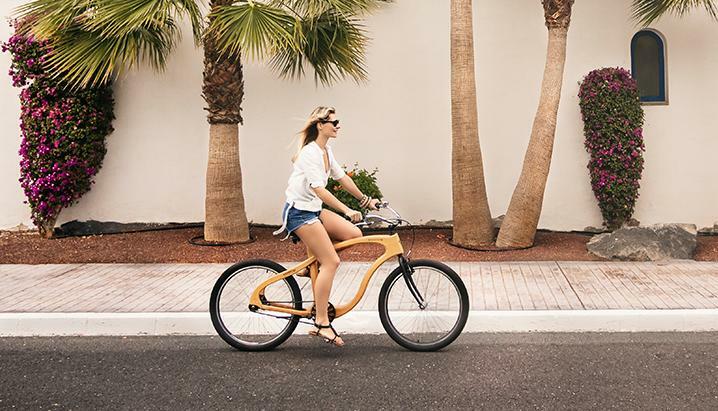 Each Woodster bike carries a story of its own. We want you to grow into one with your bike. We select the wood, we cut it, put it together. And then handcraft continues when you take over the steering and pursue your elegant everyday rides. 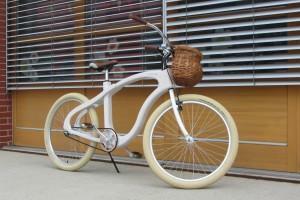 Clean and streamlined cruiser design to enjoy your ride. Surf the road. Kiss the wind. Delivery of all our bikes is within 30 days of your purchase. The bikes are made to order. Lifetime frame warranty applies to customers within 300 km radius from us. Woodster Bikes is proud for succesful partaking at the Olazábal Nadal Invitational Golf Tournament at Pula Golf in Mallorca, from Nov 24 to Nov 26, 2016. Funds raised through this annual Pro-Am tournament go towards solidarity projects of the Rafa Nadal Foundation and the Sport Mundi Foundation aimed at combatting social exclusion. 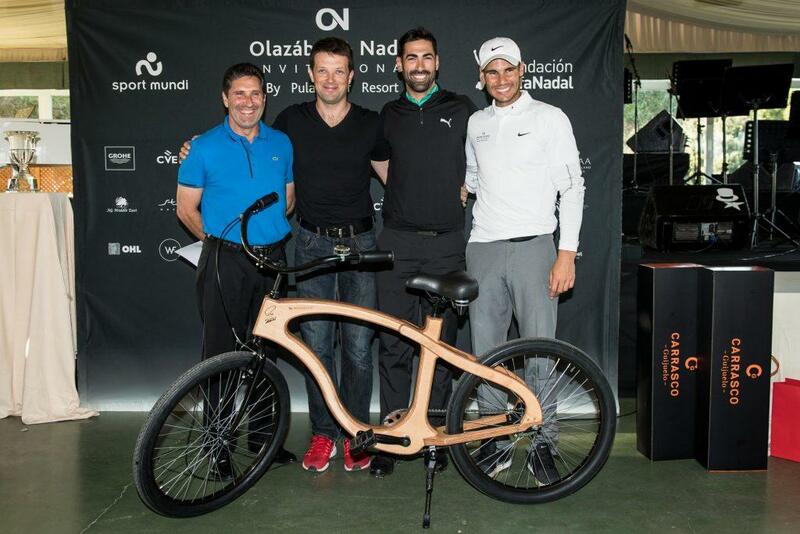 Woodster Bikes were signed by 18 participating professionals including Mr. Olazábal and Mr. Nadal. One of the bikes was awarded to the winner of the competition, Álvaro Quirós. 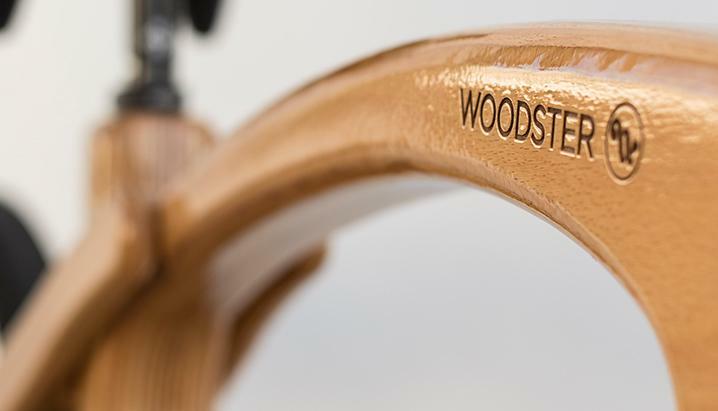 Woodster Bikes are not a serial product, but are made one piece at a time, carefully handcrafted in a boutique workshop of a young yet masterfully skilled team in Slovenia. They originate in a country on the eastern brink of the Alps, where nature has decided to combine a rich mix of natural resources and give humans the craftsmanship, skills and endurance to create the most exciting products on the planet. It is a very pleasant destination to visit, as it joins sea, mountains and lowlands, all within a biking day’s reach. 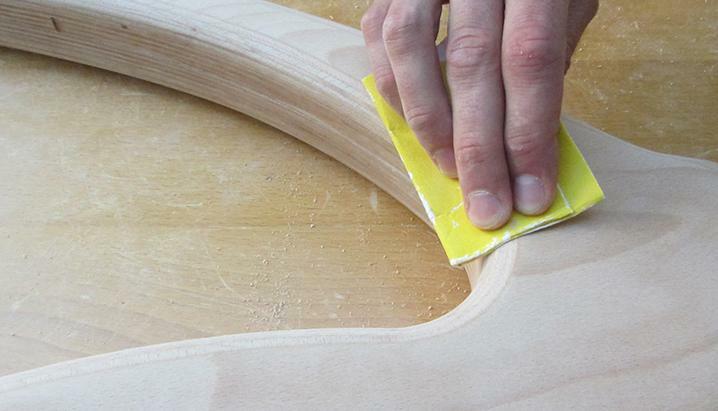 Our big dream is to produce Woodsters in small workshops everywhere where there are customers. We want to be ecologic in three aspects: (1) by the use of wood, (2) by production of Woodster Bikes close to the origin of wood, and (3) by keeping the production as close to the customer as possible. It’s a dream – and dreams are worth dreaming! If you know a wood-work producing enthusiast, we’d be glad to talk to him, or her. Our style of production means you will most probably have to wait up to 30 days from your order and payment to our delivery of a Woodster Bike. With special wishes, which we’re delighted to fulfil, the wait can get even a bit longer. It’s not blazing fast, but that’s how we can keep our promise. As a part of our Big Dream, we offer special delivery and warranty conditions for Woodster Bikes in the circle of 300 km around Slovenia – we’ll deliver the bikes personally. Yeap, we want to keep a close touch with our customers and that’s how we’ll handle warranty and repair, more on this later on. For orders elsewhere in Europe, we currently deliver Woodster Bikes through DHL. We have good experience with them so far, and the delivery is insured, so neither you nor we should worry about anything going wrong on your Woodster’s travel from its birth-shop to your home. We will charge you 150€ for this delivery. For orders overseas, which in our dream, see above, we will not be doing too much of, we also ship via DHL, also insured, however the cost is higher. We can offer a universal rate of 500€ a piece for those deliveries. Also, in case your home country has import taxes on wood or bicycles, it’s a cost that you will have to carry separately. In the circle of 300 kilometres around Slovenia, or any future production place, see our Big Dream mentioned above, our wooden frame is ensured for life. Can it break? It can, but we believe it won’t. We have tested many frames with riders of up to 150 kg and so far our experience has been great. If anything happens with this wooden part, we’ll exchange it, no questions asked. 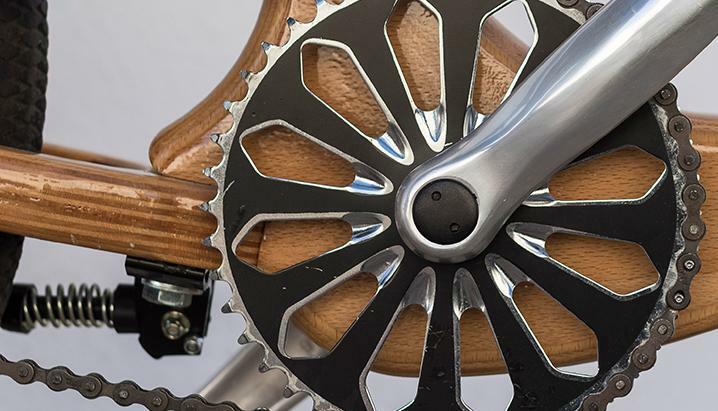 For all supplementary parts on a Woodster Bike we offer a regular 12-month warranty. After that we’ll still be offering repairs for up to 3 years from you purchase. In all other places outside of our Big Dream area (we know we keep repeating ourselves), our standard warranty is 12 months. Due to high cost of transportation we’ll try to find a local bike repair shop to handle replacements and we’ll do it in 30 days. All costs paid by us. After you place an order, either on the webpage, via mail, or any other communication platform you wish, we’ll send you a proforma invoice, which you will pay through a bank transfer. All payment details will be on the proforma invoice. The invoice and warranty come packed together with your Woodster Bike. That’s it. 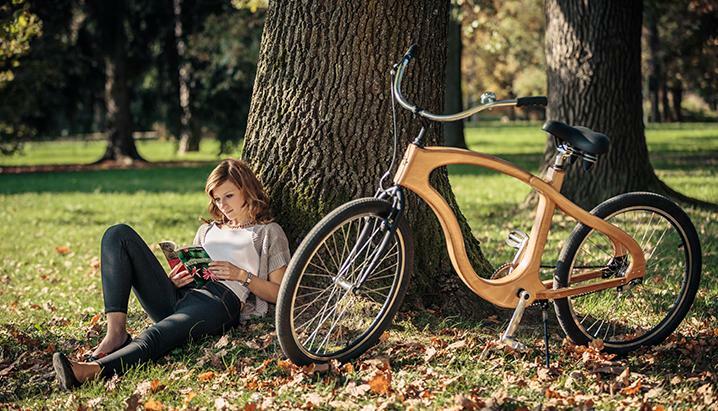 Woodster Bikes were born from the heads and hands of two young colleagues, Iztok Mohorič, a skilled and trained woodworking professional and Gregor Cuzak, a marketing guy. Currently the Woodster brand is a joint venture between the two of them. 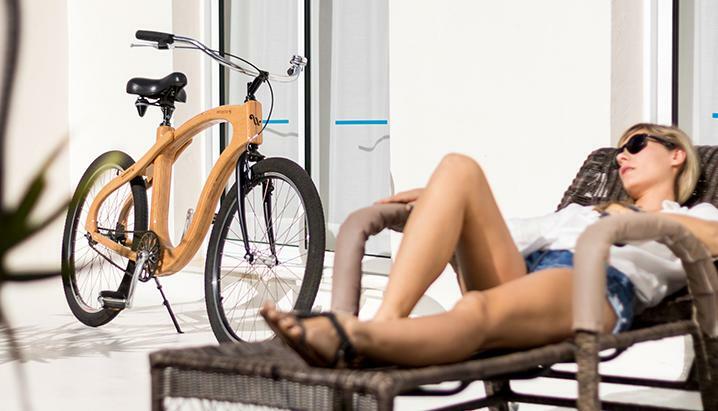 Woodster Bikes in Slovenia are sold through Iztok directly, while abroad the brand rights, invoicing, warranty claims and returns are handled by Trokot d.o.o., Gregor’s company. Copyright 2016 Woodsterbikes.com All rights reserved.